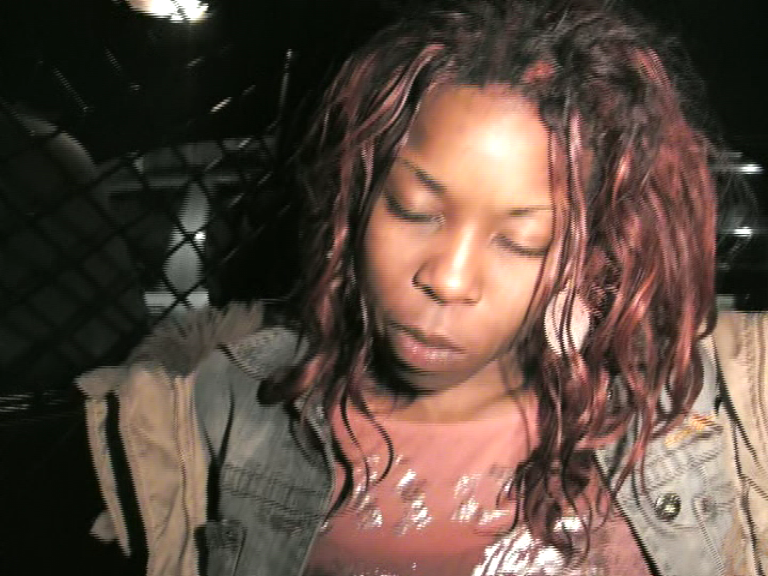 April 6, 2007 is a day Cherise Rogers will never forget. It was the beginning of an average Friday, or so she thought. Twenty-five-years-old and not long out of college, she was working as a clerk typist for the Los Angeles Police Department. She just finished her shift, which ended at one in the morning. car behind her with its lights flashing. Rogers pulled over. 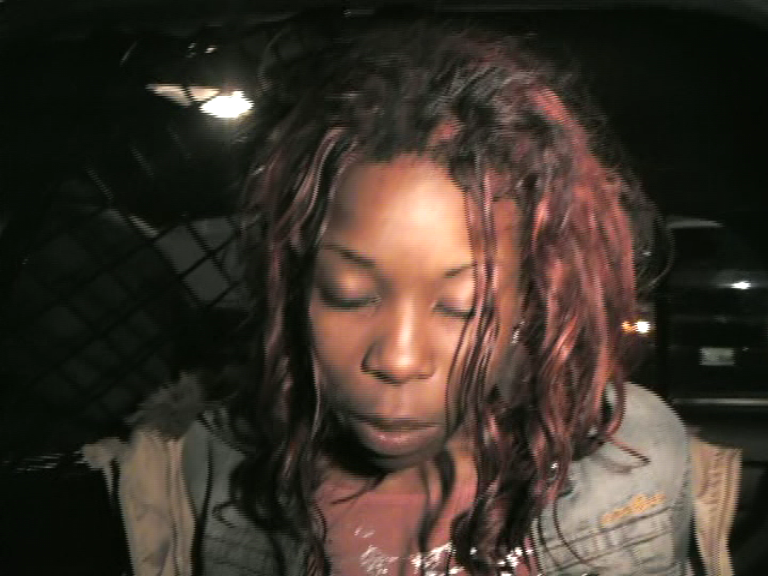 Soon she will be tackled by five officers, handcuffed, pepper-sprayed and sitting in the back of a patrol car. The next four years will be consumed by 65 court appearances, trying to clear her name and regain a once bright future. 2011 - I will be coming to a Community near you! 2010 has been a very interesting & stressful year, the most stressful out of the 3 1/2 years I’ve been fighting this Misdemeanor case. To start off, I was taken to trial twice this year on the false allegations posed against me by lying Los Angeles Sheriff Deputies. They finally got 2 convictions out of me after having been maliciously prosecuted over & over & over (3 Trials). They got just what they wanted on April 14, 2010 when I was found Guilty of 2 counts of Resisting Arrest (They added this 2nd Resisting Arrest charge on me the first day of my second trial, January 15, 2010, to hedge up their chances at a conviction). Oh and the 2 Battery on Officer charges they originally had against me were dropped due to a hung jury. I got sentenced to 60 days in the county jail behind these convictions but I am currently out on $10,000 bail pending my appeal. I also got put on 3 years summary probation plus ordered to pay fines & do some community service. Aside from that, last month I finally had my appeal against the Los Angeles Police Department (LAPD) for them Wrongfully Terminating me as a Clerk Typist on January 15, 2008 behind this case full of LIES & False Allegations. As of today, I await the results & should receive them in January sometime. NOTE: At my LAPD appeal I had 5 officers testify against me: 3 Los Angeles Sheriff Deputies, One Inglewood Police Officer & the Los Angeles Police Department Captain who fired me. So it is quite interesting how my life quickly changed all because of POLICE LIES. Being I was new to the whole (in)justice system process, I was unaware of all the INJUSTICES that were currently going on around us everyday and it’s quite an epidemic. I have become so intrigued with the topic of justice & demanding that everyone deserves it, that I have found myself engaging in more & more community events & activities revolving around police brutality, police misconduct, & police murders. It’s time for people to stand up against the way law enforcement has been able to ruin so many INNOCENT peoples lives while they continue to move on with their lives with no discipline involved. At the rate it’s going any & everyone is susceptible to police violence! It’s a tragic shame that the people who are supposed to Protect & Serve the community have found a way to become the enemy by means of terrorizing people by force & intimidation, falsifying reports to cover up their wrongdoings, planting evidence, unjustified homicides, illegal search & seizures, & much, much more etc. How are people supposed to have faith & trust in the Law when they clearly break it themselves? Can you answer that??? Well the time has come for us to once again head to the polls to cast our good ‘ole American vote. This is a very important election for us here in California; we have a lot at stake. First and foremost we are electing a new governor, thank God Schwarzenegger is about to be outta here. The two candidates running for Governor this year are Jerry Brown (Democrat) & Meg Whitman (Republican). Let’s just say Whitman IS NOT getting my vote! However the most important vote for me goes to the State Attorney General position. It’s important to me due to the candidate running on the Republican side: Los Angeles County District Attorney STEVE COOLEY! Oh NO!!!!! Not COOL at all!!! NO COOLEY!!! This is the same man who has allowed his District Attorney’s office the opportunity to maliciously prosecute me for over 3 1/2 years, taking me to court 63 times on a misdemeanor case which they all know is full of LIES. This is the same man who has allowed his office to take me to trial 3 times, spending hundreds of thousands of YOUR TAX DOLLARS while adding additional charges on me 3 years later just to hedge their chances of winning at least 1 trial…after they see their case is too WEAK to stand a chance at a conviction! This is the same man who is using his political power to help his KNOWN buddy, High Ranking District Attorney Janice Maurizi, protect her LYING ABUSIVE SON, Los Angeles County Sheriff Detective Chris Maurizi get off with assaulting women on the job. This is also the same man who sent his daughter, Shannon Cooley, to represent against me at court appearance #61 this past June when I was supposed to turn myself in, I guess to send a message that he has the power….At least that’s what I took from it. What other reason would his daughter have to be at my hearing representing against me the day I was supposed to get locked up??? Not for support!!!!! These are just a few of my PERSONAL reasons COOLEY should NOT be elected as our State Attorney General. He has shown me he is corrupt and will only look out for himself & his fellow comrades when he has too….even if that means RUINING INNOCENT PEOPLES LIVES in the process. He doesn’t care!! He’s an all for self type of guy that I can’t see helping our state out at all! And it wasn’t a coincidence the City of Bell Scandal got exposed right before this election. Cooley was informed of the scandal a year and a half ago but neglected to do anything about it….WHY?? Because he had to wait until Election Season was here of course…so he could act as if he was the hero saving the day!!! KAMALA HARRIS FOR CALIFORNIA STATE ATTORNEY GENERAL!!!! 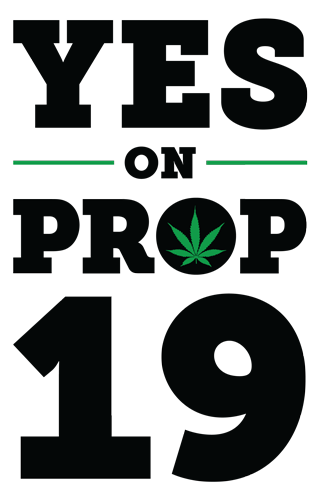 Another important issue being voted on is PROP 19, the legalization of being in possession of less than an ounce of marijuana if over 21 years of age. And this is one of the many reasons I am voting YES on PROP 19. After doing research, Blacks & Latinos are getting screwed over by the system at a much higher rate than Whites, all for being in possession of less than an ounce of marijuana & I’m sick of it. Sick of the Injustice! So with that said YES ON PROP 19!!!!! HAPPY VOTING FOLKS….LET’S SEE HOW IT ALL PLAYS OUT!!! Today, June 16th, marks the 2 year anniversary from when I was found NOT GUILTY by a jury of my peers for the Reckless Driving charge, the alleged reason the deputy used to stop me on the night of April 6, 2007. 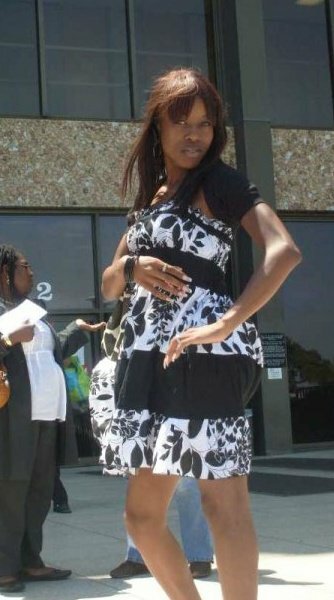 Outside Torrance Courthouse on June 16, 2008, the day I was found NOT GUILTY of the Reckless Driving charge; The reason why I was supposedly stopped. Two years later, here I am still fighting the remaining false criminal charges posed against me. Wow time sure does fly….but at the same time it’s going so slow………………..I wonder how long my life will be consumed with this one misdemeanor case of which I didn’t even do anything to even be put in this position? 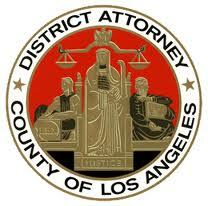 My THIRD TRIAL Begins April 5, 2010…….They Will Stop At Nothing To Try To Get A Conviction! Two months after my last trial ended with a hung jury, I am set to begin my THIRD trial on Monday, April 5, 2010. This is one day before the 3 year anniversary of when this whole nightmare began. It amazes me that this much time has passed and yet I am still here fighting with all my might, FALSE criminal charges posed against me because the District Attorney’s office keeps refiling. The District Attorney’s office has went the distance with this case, spending hundreds of thousands of TAXPAYERS dollars trying to prosecute me on something they know is NOT TRUE! All in the efforts to cover-up the ABUSE & FALSE ARREST I endured April 6, 2007. Being my case is full of misdemeanor charges as opposed to felonies, they expected me to plead guilty to get this whole thing over with, as statistics show so many people do. I am letting them know they messed with the wrong person this time. I AM NOT THE NORM! I’m a survivor, no matter how hard they’ve tried to knock me down these last 3 years, I’m still STANDING TALL & I’M DETERMINED NOT TO FALL. They not only beat me physically, but they have also tried their best to beat me economically/monetarily/mentally. I’ve spent so much time within the court system these past 3 years, seeing an overwhelming amount of INJUSTICE going on, & I now make it my duty to stand up not only for myself, but for all those who have to suffer because of law enforcements use of excessive (deadly) force & lies. This is becoming a growing epidemic. All you see and hear these days are police killing/injuring citizens for no reason at all, other than because they CAN DO IT & they can GET AWAY WITH IT! I live in the inner city where gangs are prevalent, however LAW ENFORCEMENT is the GANG I fear daily…the boys in blue, tan or black…whatever their color choice is for that department, I’m most leary of them. From all angles, they have literally showed me how crooked & corrupt they can be. If they mess up, it seems it’s best for them to put the blame on anybody else but themselves. Like in my case, they battered me yet in turn they claim I battered them, trying to cover-up their wrong doings, that’s their tactic. Thanks for taking the time to read about how crooked & corrupt you all are. Reading this blog can be a very therapeutic way for you all to see how you guys actually look & reflect to the public eye. Keep reading as I will keep posting! 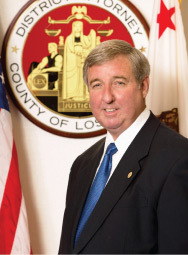 Ok…last but not least, I need to state that Los Angeles County, District Attorney Steve Cooley is running for California State Attorney General this year. We can not allow that man to RUN (RUIN) OUR STATE!!! He can’t even control his crooked/corrupt District Attorney’s office so I can’t imagine what this state would be like with him having a little bit of power!! Yikes!! No STEVE COOLEY!!! No STEVE COOLEY!!! Oh & also remember Detective/Deputy Christopher Maurizi, the deputy who pulled me over & began this lying/battery game, his mother is high- ranking Deputy District Attorney Janice L. Maurizi…….So you wonder why it’s so much corruption going on?? Wonder no more…this Mom is trying to protect her ABUSIVE, OVER AUTHORITATIVE son, as well as her OWN NAME, as well as STEVE COOLEY’S name….since he is running for a state office. It’s politics, they just thought I wouldn’t figure it all out. THEY WERE WRONG! They didn’t realize that would make me FIGHT harder! It’s time for the corruption & cover-ups to be exposed! It has happened. After all the delays & postponements, I finally went to trial last month on the 3 charges – 2 counts of battery on an officer & 1 count resisting arrest – (in fact in order to hedge their chances of winning, District Attorney Patrick Carey, added an additional charge of resisting arrest on the day the trial began-Jan 15, 2010, bringing me to a total of 4 charges) that the judge had originally thrown out in 2008, and the District Attorney’s office appealed. 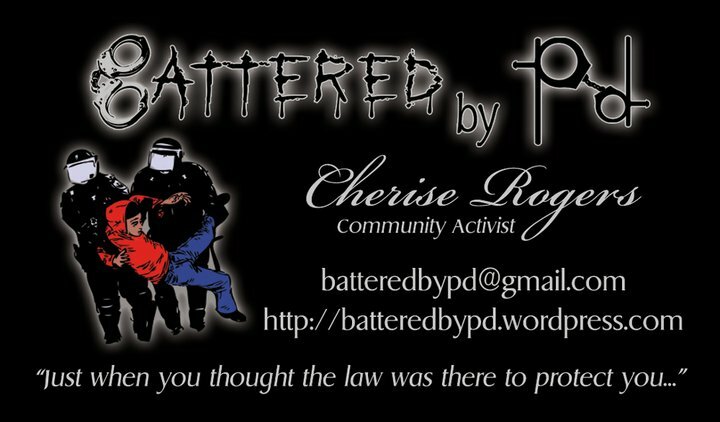 So here I am again, fighting for my future, my livelihood and my ability to earn a living in my chosen field all because the Sheriff’s department is not willing to admit that they erred in the way they stopped me and the way they handled me (or more correctly mishandled me). What I did learn during the trial however is that, according to the Los Angeles Sheriff’s Department policy and procedures and also clearly reinforced by the District Attorney who tried my case is: WHEN STOPPED BY THE SHERIFFS YOU HAVE NO RIGHTS! According to what was said in court and established at my trial, you must obey; you must comply; you must cooperate; you must not speak; you must not question; you must get out of your car; you must go to where you are instructed; you must stand with you legs open (so you are off-balance); you must bend over the hood of their car and if you ask questions or show any form of what the ‘officer’ deems is resistance, then he can physically reach into your automobile, grab you by your clothing and forcibly remove you from the car!! Now here’s the rub — just a few days after my trial ended, I happened to see a Pasadena Police Officer on the local news responding to fake police officers stopping, harassing, robbing, and whatever else they were doing to people in the City of Pasadena. The officer on TV was actually instructing all people to question officers who pull you over if you are suspicious of them. Telling us as citizens, not to just get out the car when approached and also to stop in a well-lit area where there are people around to be safe (Good luck finding this perfectly described scenario at 1:30 in the morning). She said that the officer is supposed to identify himself and even show some form of I.D. if requested by you. Hmmmmmmm….According to this officers logic we as regular citizens in this society can question on-duty officers, which I know is not at all the case in the REAL WORLD! I felt the description & details provided were not accurate in today’s day & time to say the least because we deal with REAL officers with authority issues & who don’t respond well with being asked anything at all! This just confirmed for me that the way I was treated was totally out line and unjustified & also that SOME officers themselves are oblivious to the DEMANDING/AUTHORITATIVE nature of some of these rogue cops. The main problem I have is that the police department on one hand goes on TV with these ‘community advice’ sessions and they don’t help! Their suggestions are in direct conflict with what officers are charging and trying people for, for attempting to do exactly what they suggest you do and what I did. But going back to the topic of my trial…after sitting through the testimony of 2 lying Sheriff Deputies, Deputy Chris Maurizi & Deputy Regan Fitzgerald, who both claim I battered them and 3 days of jury deliberations…the jury came back DEADLOCKED, a hung jury. The jury kept coming back asking questions, wanting more info to help make a decision, it even got to the point the attorneys on both sides had to do a 2nd closing argument because the judge was wanting a verdict to be reached. But to no avail, the jury could not agree, leaving me once again back at SQUARE ONE because the District Attorney made sure they refiled the case again, but only after trying to offer me an outlandish deal! PLEAD GUILTY TO RESISTING ARREST, 3 YEARS SUMMARY PROBATION, & 1 YEAR ANGER MANAGEMENT. I laughed because there is NO WAY they could/would ever get me to take a deal. Their supposed incentive was that I wouldn’t be receiving jail time if I took the deal, but if I didn’t take it, I need to remember I’m facing serious jail time….yea yea yea ….they can say all they want to, but I never resisted the deputy, so to take a plea is admitting guilt…..I’m NOT GUILTY so why would I plead? 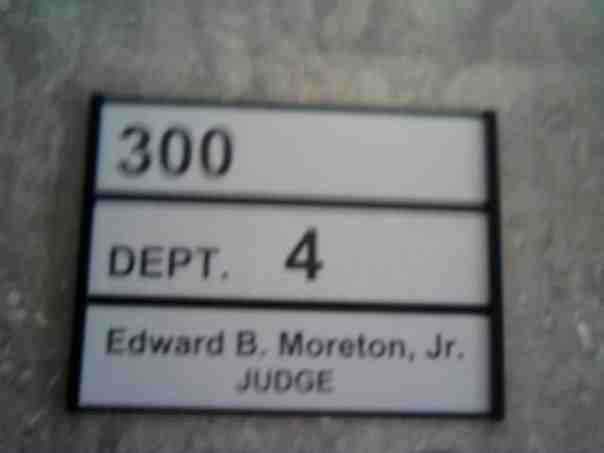 So as of now, I go back to court March 5, 2010 for my trial readiness date. I should be set to go to trial again before the end of March. This will be my 3rd time taking the stand to plead my innocence, which is ridiculous considering how BROKE THE CITY OF LOS ANGELES is, but yet & still the DA’s office has NO PROBLEM spending thousands of tax payers dollars on a case that they know is ludicrous & false. The pictures below were taken the night I was Falsely Arrested & Battered by the Los Angeles Sheriff’s Department (LENNOX DIVISION) & Inglewood PD. My lawyer & I received these pictures from the USE OF FORCE Video the Sheriff’s (Sergeant Inge) shot of me the night of the incident. These are still shots from the footage………. This was AFTER being CHOKED, having MY HAIR PULLED, PEPPER SPRAYED TWICE, and BEING LEFT IN THE BACKSEAT OF THE POLICE CAR W/ NO AIR TO BREATHE!!! I DID NOT look like this when I left work (the LAPD PACIFIC DIVISION STATION) only an HOUR prior to this video being shot!!! This is the Result of EXCESSIVE FORCE by 5 MALE DEPUTIES/OFFICERS!